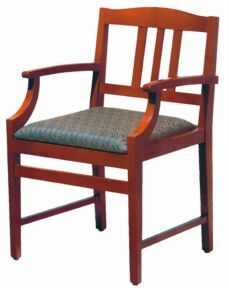 Seating for your library is available from two different manufacturers with several appealing styles. 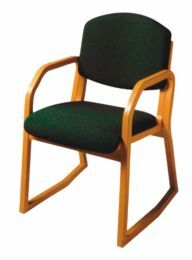 Brodart offers an array of choices for chairs and seating, the timeless styles and elegant lines provide style and comfort for library patrons. 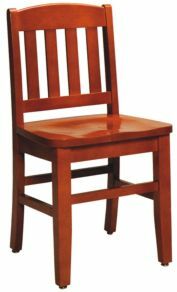 The Carver series chair has saddle scooped seat with durable mortise and tenon joinery. 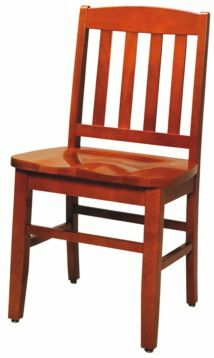 solid wood seat, back or both. 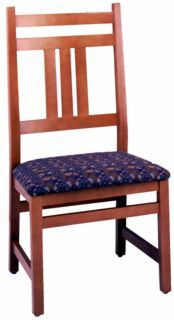 upholstered seat, back or both. 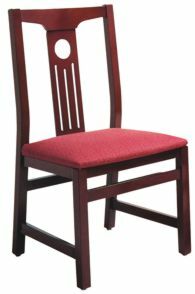 The Berwyn Collection chair is an elegantly styled side chair with strong, clean design elements and unsurpassed comfort. 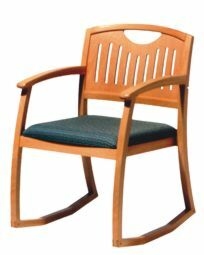 Parallax - seating designed to be different. 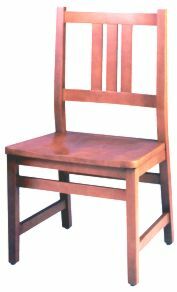 This chair is available in all wood or upholstered seats with optional circular cutout at the center line of the back rail. scooped wood seat, back or both. 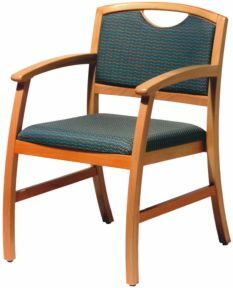 Alpha Chair: A contemporary union of powder-coated metal and your choice of wood finish and upholstery. 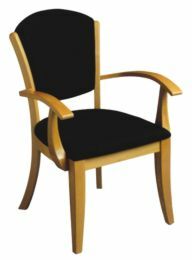 The Alpha Chair transforms the simplicity of rounded edges and curved surfaces into a strikingly unique seating series. 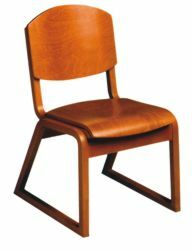 Horizons Solid Wood Chair: Classic styling in a young readers chair with your choice of interesting art cutouts in the back. 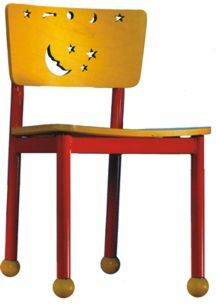 Horizons Metal Chair: Wood seat and back combines colorful metal legs to add a whimsical touch to your young readers area. 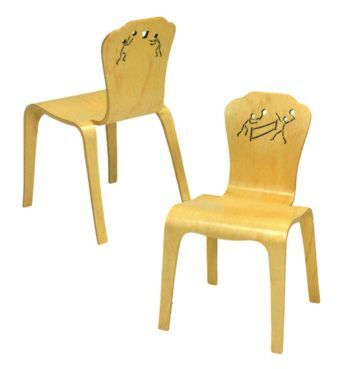 Horizons Plyform Chairs: A modern bent plywood style redefines “cute”. 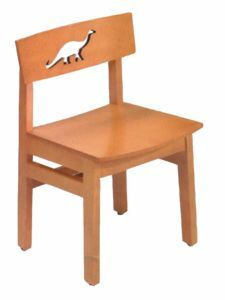 Available with your choice of art cutouts in the back. 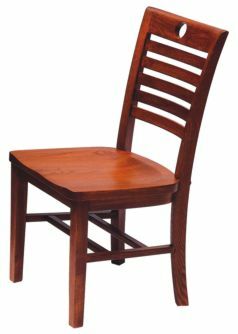 Solid hardwood construction and modern styling combine to make beautiful, long lasting chairs. Special “lean back” feature in sled base styles. 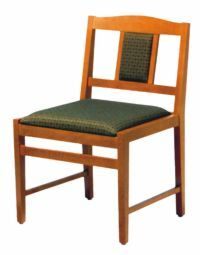 with upholstered seat and back. with 3 position “lean back” feature. 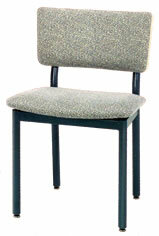 Low Back Model #702-158 with upholstered seat and back panel. Inner Harbor Model #732-0132 with “lean back” feature.